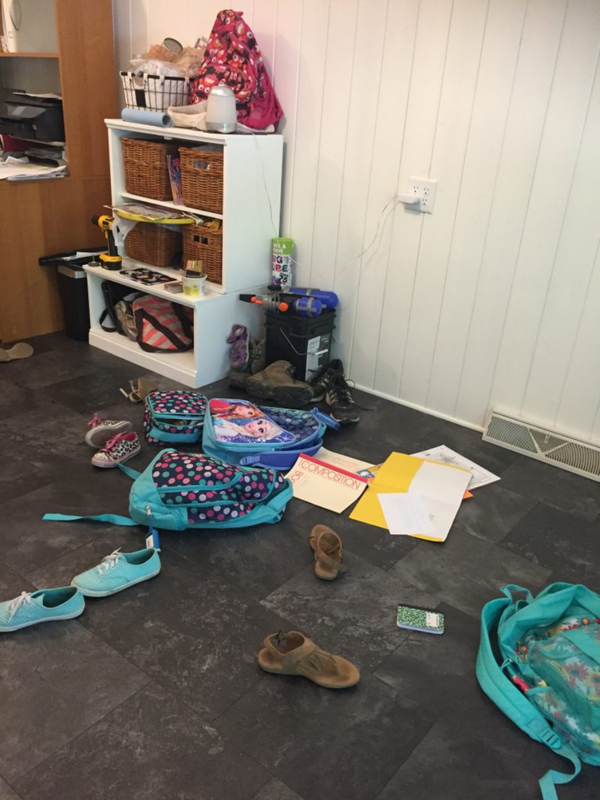 As the school year begins, we realize how important it is to begin the year organized and ready for all of the backpacks, books, papers, shoes and coats that will make their way into your home. We would like to highlight our 3 favorite entry solutions so that you can feel peace of mind when you walk into your home instead of wanting to take a sledge hammer to your entry. 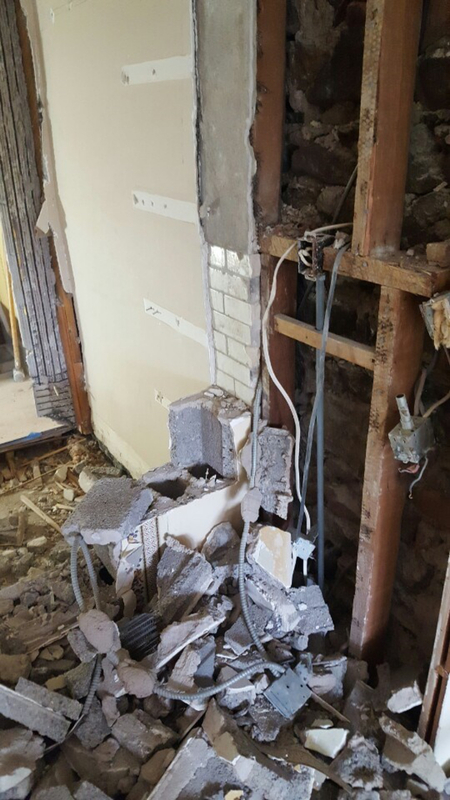 Does your entryway occasionally look like this? Have you ever been tempted to take a sledge hammer to it? Here is an example we love that has perfectly designed cubbies for all of the kiddos. Don’t forget cubbies for mom and dad too! The simplicity of being able to see where everything goes is what makes this design so compelling. 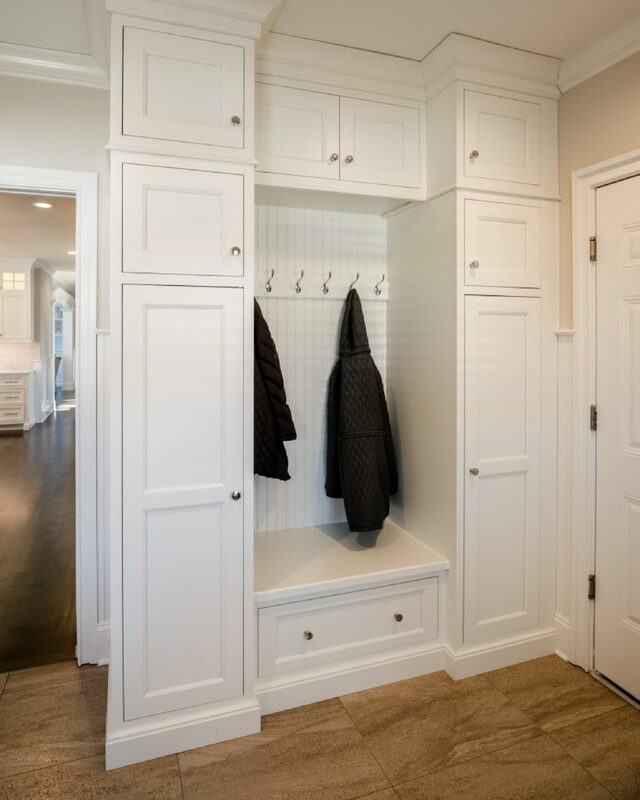 This entry is located in Penn Valley, PA.
What we appreciate most about this design is that it combines hidden storage with easy accessibility for coats and jackets so that you can quickly run out the door. This entry is located in Spring City, PA. The beauty of this entry, located in Wayne, PA, is that everything gets hidden behind these artfully crafted beaded inset cabinetry doors and drawers. 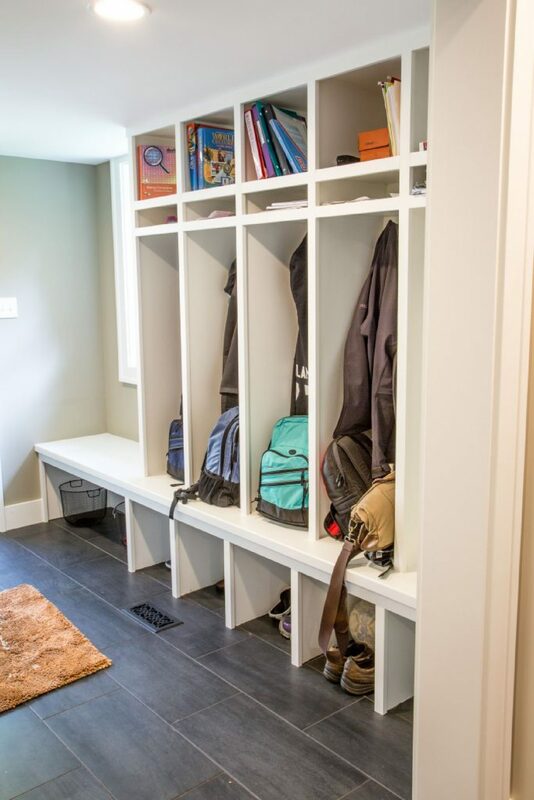 This not only makes for good organization, but also adds to the beauty and complexity of the entryway and essentially, the entire home. Thanks for checking out our top three entry solutions and we wish you and your family a successful and organized school year!